Enjoy fully serviced group accommodation at High Trenhouse in the magnificent Yorkshire Dales. It is your ideal venue for management workshops, away-days, team-building, executive retreats and off-site events. At weekends and holidays High Trenhouse can be enjoyed by leisure groups for walking, yoga, painting and other activities. Great care and attention to detail go into providing supportive yet un-obtrusive hospitality with a quality of ambience that adds value for organisers and participants alike. Because High Trenhouse is so wonderfully located in the heart of unspoiled countryside, you have many possible excursions right from the door. A weekend of relaxation, yoga, Pilates and walking with Sue Bailey. Set in the heartland of the Yorkshire Dales National Park High Trenhouse will be our tranquil home for a weekend of relaxation, walks, yoga, Pilates and amazing food and hospitality. Fancy getting away for a few days? Burning those unwanted Easter calories? Detoxing the system and getting your summer body prepped? This 10 month programme is designed to help museums and heritage organisations be better led; entrepreneurial, culturally valuable and effective in the 21st Century. We focus on the leader, using a well developed Resilience Methodology which takes a 360° view of resilience. Starting with a residential at High Trenhouse in May 2019. Open for applications now. Join renowned photographer Nick Jenkins for one of his outstanding photography workshops. Come and photograph sunrises, hay meadows, wild flowers and the Dales at their very best! The Recess College is a unique and life-enhancing leadership programme: Leadership in a changing world. It is specially designed for senior executive managers, aspiring managers and highly achieving professionals from every sector. It is for those who wish to discover more of who they really are, so they gain greater focus in their life and work. Led by world class coaches, it is a unique programme, based on experience and research, underpinned by a coaching based approach and includes a 4 day immersive experience. Next course is starting soon. For full details click here. This 4-day (4-night) painting holiday will consist of some en plein air painting so we gather source material in the form of sketches, photographs and written note, as well as painting in the studio. We will sketch in watercolours and pen and produce finished paintings in acrylics and mixed media. The Mindfulspace Wellbeing Company have designed a Mindfulness programme in inspiring and beautiful natural surroundings with like-minded people. 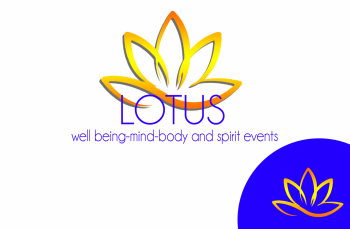 Activities include indoor and outdoor Meditation, Yoga, Mindfulness workshop, Pilates, Sauna, Mindful walking, Hiking, Vision board Workshop, Mindful Art Work Shop, Gong Sound Bath and treatment upgrades. Activities are optional but rest is compulsory. Qi Gong, Meditation and Sound Healing Weekend. Cultivate inner peace and well being. Restore your life force energy., relax and reach for your dreams in luxurious surroundings. Lovely meals and en-suite rooms, surrounded by spectacular nature. Enjoy the fabulous scenery of the Yorkshire Dales in all its winter splendour. We will have a choice of gentle and intermediate walks each day to allow you to move between the grades, to take it easy or stretch according to how you feel. If you have difficulty contacting the event organisers, please contact Sue at High Trenhouse. "The best venue I have ever used in 20 years of working in team development and facilitation"